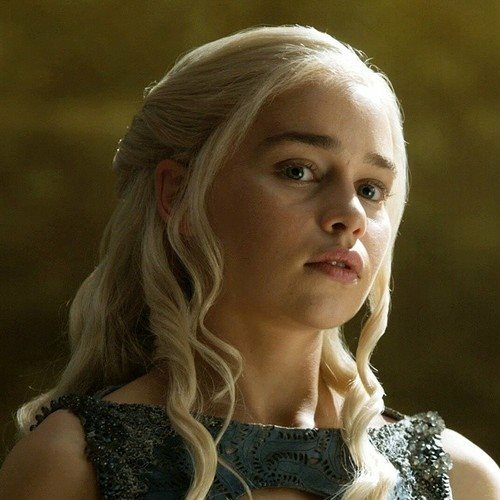 Popular Baby Names of 2014 Include Khaleesi, Katniss, And Django — Seriously Everyone? It's always been the case that baby name trends are strongly affected by what's going on in the entertainment and pop culture worlds. However, names that become popular in this way have typically been around for awhile and are experiencing a resurgence, like the spike in Frozen- inspired names Anna and Elsa. But what about naming a little girl Khaleesi or Katniss, or a boy Django? According to a mid-year report on popular 2014 baby names, those monikers, which harken back to popular characters from George R.R. Martin's A Song of Ice and Fire, Suzanne Collin's The Hunger Games, and Quentin Tarantino's Django Unchained, are just a few of the rather surprising results. The lists, which include the top 100 names for both boys and girls so far this year, were calculated based on the number of views each name got on popular baby-naming site Nameberry. Because of that, it's more of a measure of interest in each name (potentially for babies that will be born later in the year), rather than a definitive ranking of the names of babies that have already been born. Imogen, the top girl's name, is of Celtic origin and means "maiden." Asher, the most popular male moniker, is a Hebrew name meaning "happy, blessed." FYI, Khaleesi came in at 18 for girls, while Katniss almost made it into the top 10 at 14. Django ranked 46 for boys. #13 for girls, Hazel, is the heroine's name from John Green's wildly popular book, The Fault In Our Stars; while #47 on the boy's list is August, which is quite close Augustus, Hazel's love interest. #71, Merida, is the name of the protagonist from Disney's Brave. Many of the top 100 names are decidedly Shakespearean in nature, including #1 (Imogen), #15 (Olivia), #25 (Beatrice), #57 (Isabella), #60 (Cordelia), and #70 (Juliet) for baby girls, and Oliver (#5) and Sebastian (#21) for baby boys. As an enormous fan of the Bard, I am wholeheartedly for this last trend — and also for considering the names of characters who are strong-minded and complex. For related baby name info, you can read about how popular other GoT names are, or names (and plenty of other things) inspired by Frozen.